For the past 20 years, NBA 2K has been the go-to game for most die-hard basketball fans. And with a new iteration of the critically acclaimed and commercially successful series, can 2K sports continue to dominate the market of sports simulation with this year’s NBA 2K19, or does it take two decades of gameplay and completely lose sight of what has made it successful? One noticeable change in NBA 2K19 is the new story called “The Prelude.” For the last few years, NBA 2K fans have been looking for a story that had some substance to it, a storyline that truly made you feel as if you belong in the NBA. Last year NBA 2K18 had a brief introductory story for your character. You were an NBA prospect who decided to skip a few years of basketball to pursue a music career. But then one day you decided to lace up your basketball shoes and start hooping again. 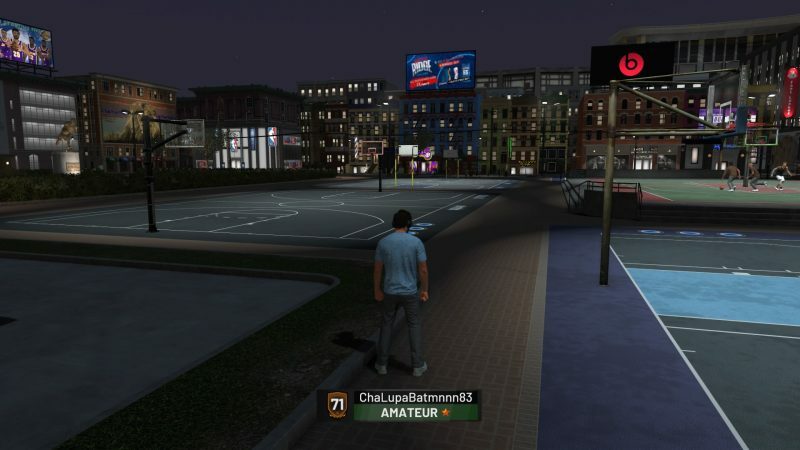 Your character hits a streetball tournament, which then lands you a chance to play in the NBA on a team of your choice. NBA 2K17 also had a story which consisted of you experiencing some time in college. You played about five college games before you were drafted into the NBA. Both NBA2 K18 and 17 wanted its players to go through something that most NBA players experience before going into the big leagues, but both storylines you were able to easily breeze through, making them very forgettable. “The Prelude” has you portraying a character that goes undrafted in the NBA. From there you find yourself playing in China. After playing a few games, your team gets a chance to host the NBA for an international all-star game. After a pivotal moment that involves a former college teammate, you land yourself a gig playing for the South Bay Lakers, a G-League team. But playing for them is instantly crushed as you’re suddenly traded to the Fort Wayne Mad Ants. After you start making a name for yourself within the team, your dreams of getting to the NBA are sidelined by your teammate Marcus Young, who ends up backstabbing you as long as it means he gets to play in the NBA. Marcus Young gets picked up by the San Antonio Spurs, and as you watch his career take off, your character is left in limbo to decide what he’ll do next since his basketball dreams have faded. But former college teammate Corey Harris connects with you to give you one chance to play in the NBA with his team, the Los Angeles Lakers. The Prelude concludes there as you play that one important game and continue to get signed to an NBA team. The Prelude will take you about four or five hours to play straight through. In between playing basketball games, your character will go through some instances that help him develop not only as a player but as a person. NBA 2K’s main character has an essential flaw, which is that he carries the mentality that he belongs in the NBA. Because your character doesn’t get drafted, he experiences some humility throughout the story that helps him prepare for the eventuality of joining a professional NBA team. Some of the cutscenes that you watch during the prelude make you feel at times very sympathetic for your character, regardless of how arrogant and self-centered he is. There is a part that really got to us that made us feel some sorrow for our character. 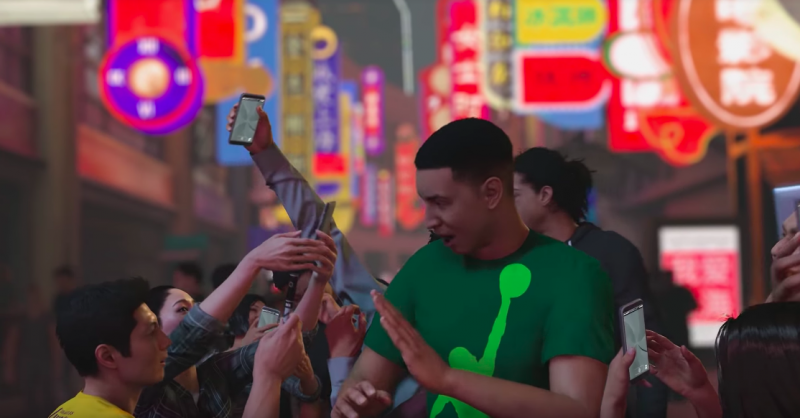 It was that gut-wrenching moment that made us nod our heads in approval that 2K had really nailed down a solid story. When it comes to the graphics, there isn’t a huge improvement from last year’s NBA 2K18. There are slight improvements in the facial accuracy of the real NBA players. Player movements have a huge improvement this time around when moving around the basketball court, and you can really see it in your characters jump shots. There are hundreds of jump shots that you can choose from when you first create your character, and each one does have a signature look that does carry on to the court. In previous 2K versions, I would sometimes pick a jump shot that I thought looked good in the preview, only to be disappointed when I used it in a real game. But in 2K19, it was the complete opposite. Dunks and layups have also been upgraded graphically, as they are more accurately portrayed, which can be really seen if you use the Jordan Kilganon dunk package. His behind the back toss dunk in mid-air is almost a work of art if you can pull it off. I would have liked to see some graphics improvements in some of the cutscenes during the prelude. Some of the characters leaned toward the more pixelated side, which really takes you out of your mood when you notice just how choppy they look. I also noticed that during NBA games, the camera work on the immediate instant replays was really off. When your team executes a highlight play like an alley-oop, it will automatically trigger an instant replay which you completely miss because the camera would miss the action. You’re better off going into the menu and watching the instant replay yourself using the onboard controls. A huge difference this year in the gameplay is the A.I. Coming into the NBA as a rookie. You’re not going to be an elite player, and this is accurately portrayed by the defensive A.I. When we played the first actual NBA game, we noticed that it was really hard to get past the defensive player. Essentially our player was being stopped in his tracks, trying to drive to the basket. It forced us to either put up a contested shot or kicking out the ball to a teammate. Layups weren’t easy to make this time around as well, as once we were going up for a layup, the A.I. did a great job of smothering the player to limit the chances of the shot going in. Now we can see seasoned NBA 2K players getting frustrated at this upgrade in A.I. defense, as in prior 2K games, it was easy to skate past them and drive to the basket. But we enjoyed the new defense, as it gives you more of a realistic feel of coming into the NBA as a new player and going up against vets. Offensively the A.I. also sees an improvement. Calling for pick & rolls are much easier as your teammate reacts to the call much faster. The timing to also move from the pick & roll is also greatly improved, but miss-timing it can end up with an easy turnover. The only problem that we still see within the A.I. is its inability to properly switch to the on-ball player when defending. If our player was caught in a pick, the A.I. wouldn’t compensate and make the switch which would then penalize me for leaving my assignment and allowing the player to score. When it came to this year’s shot meter, NBA 2K19 gave you the chance to either place it at your player’s feet, hands, or both. This slight change made a drastic change in how we played the game. We found that placing the shot meter at our player’s hands made it easier for us to see when to release the jump shot and easier to constantly hit a perfectly released shot. They also added your shot indicator to your layups, that way if you missed an easy layup, you wouldn’t end up screaming and shouting that the game is broken. This time we would be able to see that we either released our layup too early, too late or perfectly. The introduction of the “Takeover” meter is also a great addition to the gameplay, as it fills up for everytime your player does something positive within the game. Once the takeover meter was filled, you can trigger it which would boost all your player’s skills for a limited time. The meter can also empty if your player commits a turnover or unwanted foul. This small addition really made us pay attention to how we played, instead of the typical way which was just go full-steam ahead regardless of what the consequences were. When it came to customizing your player’s movements, the menu had a big upgrade. Last year it was a bit cumbersome to change player movements like jump shots, dribble moves, dunks, etc… This time around things were more streamlined. All of your choices for player animations were within the same page. So they did away with having to leave one page and enter another if you just wanted to change a dunk or a free-throw shot. Choices for all your movements were also limited to the ones that you wanted. 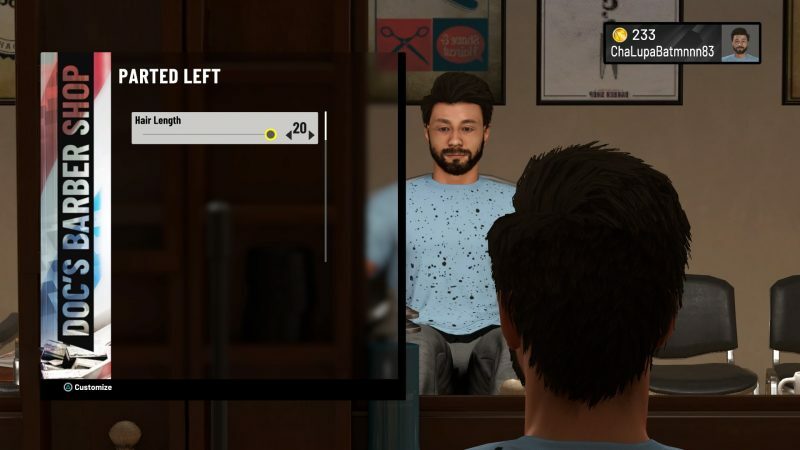 Just like that year, NBA 2K19 continues with “The Neighborhood” which is the hub for you to customize your player looks and interact with other players. Design wise they went for a simpler look by making the neighbor one giant square. It was quite annoying last year where you had to run around all over the place just to get where you need to go. Now you can see where everything is and easily get to it by cutting through the center of the neighborhood. Haircuts this year doesn’t cost you any of your VC, but tattoo’s, clothes, and shoes will. But the addition of the Ante Up room is a great way for you to earn VC other than playing an NBA game. They have a wheel you can spin for some cool perks, and there are basketball courts spread out, each having an amount you would bet where winning would double your investment. A great addition to the neighborhood was the daily games that you can participate in, which are dodgeball and Red Vs Blue. When you first enter the neighborhood, you are given a screen that tells you what time certain events are and what the daily bonuses are. This is a great way for you to earn VC as well as in years prior if you wanted to earn VC faster, you would have to buy VC packs with real money. If you are also fortunate enough to find it, the neighborhood does introduce the Under Armour zone, which are basketball courts that have jump pads laid out close to the basket so you and your team can pull of some fancy, highflying, memorable dunks and plays. 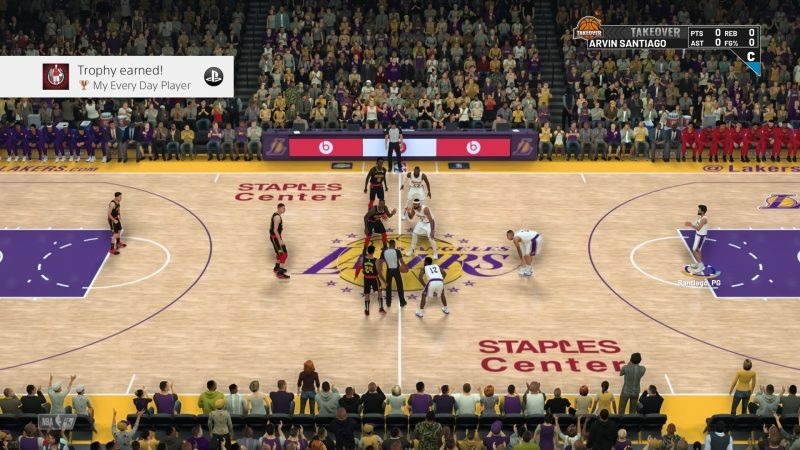 Rounding out the MyCareer mode in 2K19 are the familiar modes that have popped up in the last few years. You’ll have MyGM, 2KU, Blacktop, and MyTeam. Blacktop is a way for you to play 1v1 up to 5v5 in fast-paced street ball games, while 2KU teaches you how to play the 2K game with its wide variety of player movements and shots. And of course, if you needed a break from playing your illustrious NBA career, you have the choice of playing MyGM. Including an intricate storyline, NBA 2K19 is a definite solid upgrade from previous versions, combining everything that was successful in past games and rolling it into one. 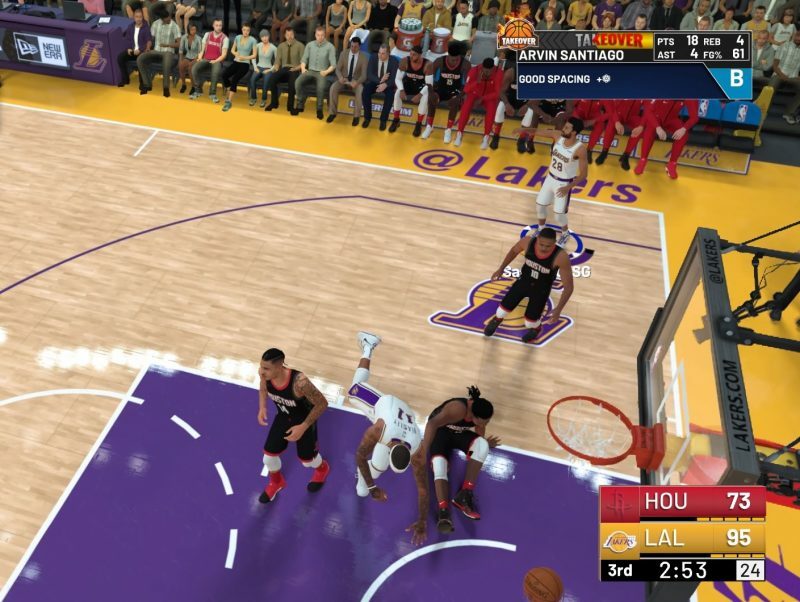 NBA 2K’s signature style is still prevalent in this year’s game, but it comes with graphics improvements on how your player moves and shoots the ball. A big improvement to the A.I. defense can infuriate some players, but those who prevail are rewarded quite nicely. Microtransactions still exist but are not the only option, as the neighborhood now includes numerous ways for your player to earn VC. 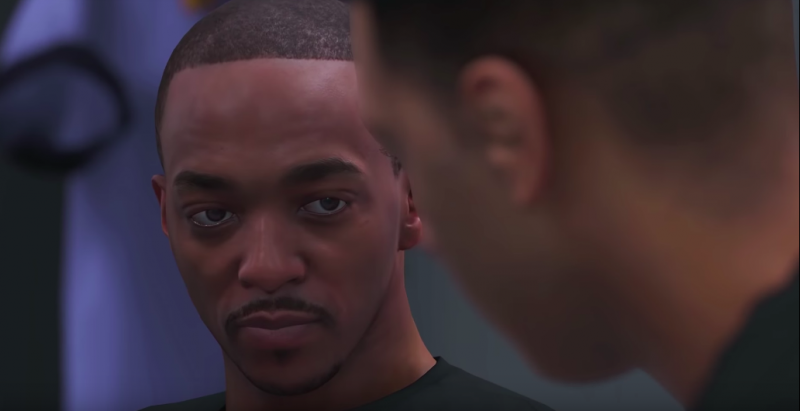 The Prelude is a solid story that features some known actors such as Anthony Mackie, Haley Joel Osment, Aldis Hodge, and others show that 2K sports have taken the right approach in incorporating a story that makes your NBA career much more enjoyable.